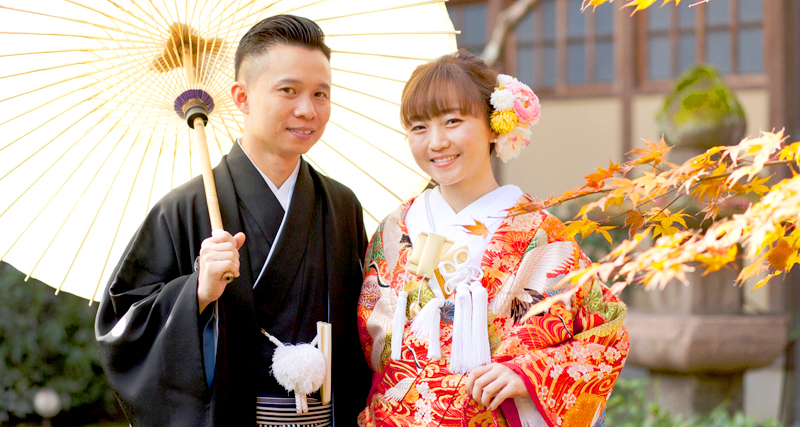 Jaan and Money come from Hong Kong and chose Okakuen and Nene-no-michi for their pre-wedding photos. This year, the red leaves were later than usual. When Jaan and Money came to Kyoto, it was the perfect time for red leaves. They took a lot of photos under their dazzling colors. Jaan and Money were really a lovely couple. Money brought a wedding dress for herself. It was so pretty and elegant and fit her perfectly. We had a really enjoyable photo shoot. Wishing you a wonderful new life together. Congratulations!! !